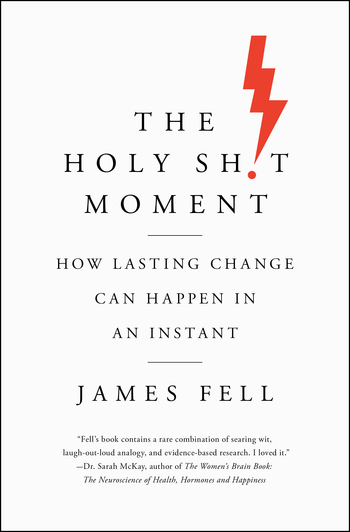 Motivation expert James Fell teaches readers how to skip the hard part and go directly from intention to committed action. Motivational psychology has traditionally focused on slow and steady—gradual improvement over time to reach a desired goal, whether it’s weight loss, career change, battling addiction, or success in relationships. We’ve been told since toddlerhood that the tortoise beats the hare. But, through compelling science and powerful stories, James Fell shows us that the hare has the edge; overwhelming desire can be awakened fast and furiously. When you learn to become attuned to that sensation of sudden awakening, a new path can be followed almost effortlessly, because it feels like destiny. One cannot leap a chasm in two jumps. I saw Jaws when I was seven. JAMES FELL has been a regular contributor for numerous major publications, including the Chicago Tribune, the Los Angeles Times, AskMen.com, Men’s Health, TIME, The Guardian, NPR, and a variety of others. Fell is the author of Lose it Right: A Brutally Honest 3-Stage Program to Help You Get Fit and Lose Weight Without Losing Your Mind.